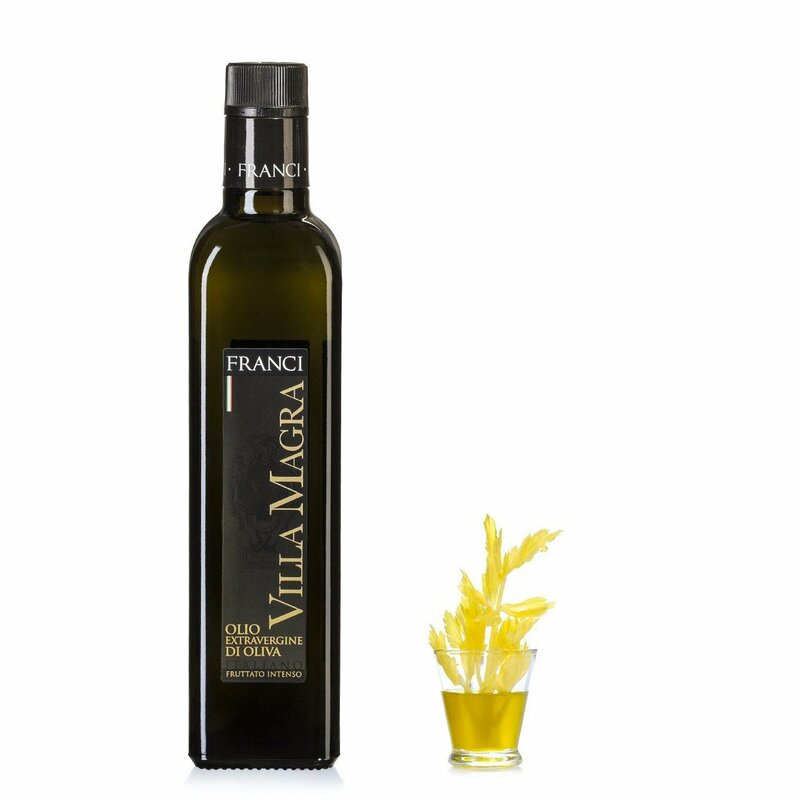 The Villa Magra Extra Virgin Olive Oil by Frantoio Franci is produced on the Val d'Orcia and Tuscan Maremma hillsides. The oil is filtered and has a green colour with yellow hues. The aroma is intensely fruity with hints of green olive, fresh herbs, artichoke, thistle and an elegant note of roasted coffee. The taste is harmonic with a potent and rich vegetable flavour which is dominated by artichoke and thistle. It is ideal drizzled on soups, fresh vegetables and cooked or uncooked legumes, vegetable soups, red meats, bruschetta, potatoes, onions or as a dip. 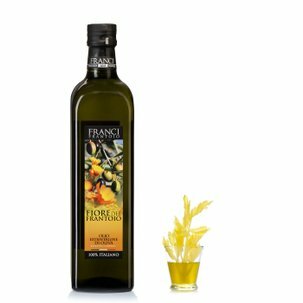 Ingredients extra virgin olive oil from frantoio 50%, moraiolo 35%, leccino 15% cultivars. For more information on product labels, please contact our Customer Service department. The information on the labels of the products may vary for reasons beyond our control, therefore, there may be discrepancies between the information on the site and that on the products delivered. Please always check the information on the product before consumption or use. The Villa Magra Extra Virgin Olive Oil by Frantoio Franci is produced on the Val d'Orcia and Tuscan Maremma hillsides.